For the first time, I am not going to be with my family for Passover. It’s my older daughter’s sorority’s Mom’s Weekend during the first two nights of Passover (clearly she goes to a school with a very low Jewish population) and I am excited to be with her. My son has been stressing out that if I am out of town there won’t be any good desserts on Passover and “what about the popovers??! !” And he has reason to be concerned. After all, “what is Passover without popovers?” asked no one ever. But Mr. Picky is worried. Let me just come clean and share that I didn’t grow up Jewish and never had to abstain from any of the forbidden foods for 8 whole days, but I have observed a trend over the last 10 or so years with respect to Passover foods. People are getting a lot more creative coming up with foods that are kosher for Passover that really shouldn’t be kosher for Passover, if you know what I mean. Like cakes, muffins, breads, POPOVERS. 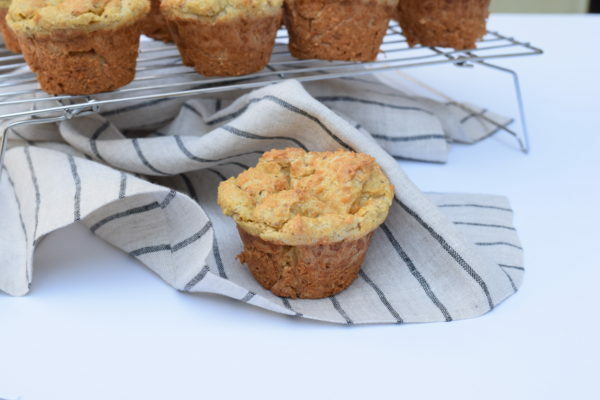 Do you feel the pain of your ancestors if you eat a muffin made from almond flour instead of wheat flour? Thoughts? Popovers are actually a new-ish addition to our Passover seder, but they are very popular, especially with Mr. Picky who actually asks for them outside of Passover. They have a very nice texture, light and eggy on the inside, but a little more rough on the outside than a traditional popover. But what can we really expect when it’s made out of matzoh meal? The recipe calls for a lot of eggs, so I don’t feel bad if he eats three of them in one sitting since that’s more protein than he usually offers to consume. This recipe was given to me by my mother-in-law and everyone loves these. 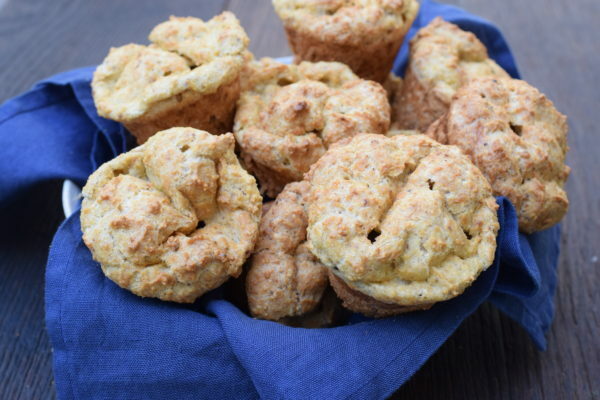 I have also tried the popover recipe on the King Arthur website, and they were actually a little more like normal popovers — quite light and airy (see the picture towards the bottom of the post). But everyone preferred this recipe which feels a little more substantial. They are really easy to make and quite nice with a bowl of soup or the next day split and stuffed with egg salad or tuna salad. You can definitely make these the day before and pop (no pun intended — why do we always “pop” things into the oven and not “place”?) them into the oven to warm through. I guarantee these will be a huge hit. Technically I made more of a muffin since I don’t have a popover pan, but if you do have a popover pan, I would definitely use it to achieve that traditional shape. You can also bake large dollops of this batter onto parchment-lined baking sheets for more of a “roll” rather than a popover. You’ll have to wing it with the timing since I haven’t tried it for myself. And if you’re going to do that, perhaps increase the sugar a bit and make profiteroles. The list of non-Passover Passover foods is infinite! Preheat the oven to 400 degrees. 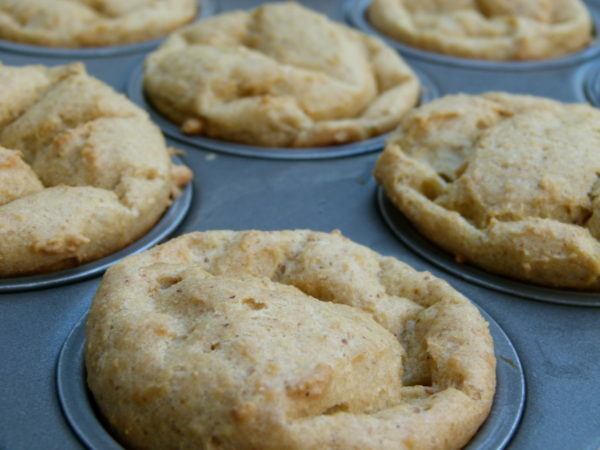 Grease a 12-cup muffin tin or popover pan. In a medium suacepan, whisk together the oil, water, salt, sugar and pepper until combined. Place over high heat and bring to a boil. 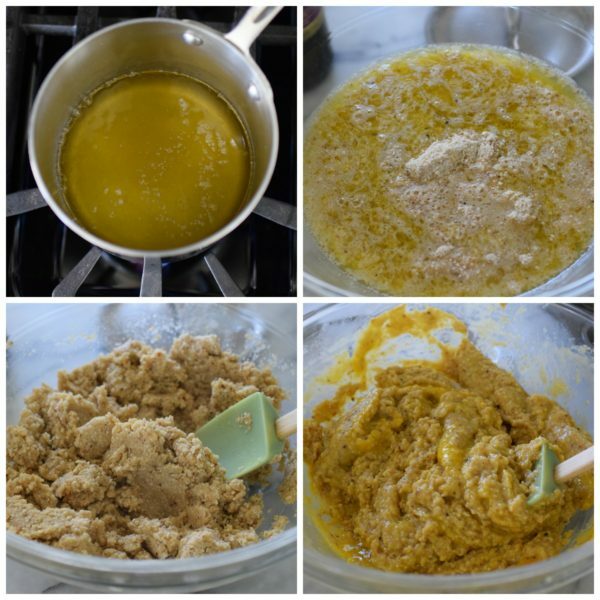 Remove from the heat and stir in the matzoh meal, mixing until well combined. Add the eggs to the mixture one at a time, stirring well after each egg. Spoon the batter into prepared tin, filling about ¾ of the way for a standard muffin tin. Bake for 40 minutes or until puffed and golden. Remove from tin and transfer to a wire cooling rack. The popovers are always a big hit at my seder. I like cooking them right before we start but my question is can I make the dough the day before or even in the morning of the seder and put the dough in the refrigerator? I was concerned that by putting the dough in the fridge it would change consistency. What do you think? I don’t know how the dough would be affected by an overnight stay in the fridge, but there are no leavening agents or whipped egg whites, so it’s possible they’d be ok. I make them the day before and warm them in the oven before serving. You could do a trial run this week….or make them today and freeze them. Making these tonight. How should I store the extras? Thanks! Dear Pamela, made these popovers last night and they were so delicious! Instead of plain matzo meal, I ground egg flavored matzos. Served at our dinner with fig jam. Another winner from you! Thanks!! Yay! So happy you liked them. I’m excited to know that grinding egg matzos works well in this recipe. That’s a great tip in the event someone doesn’t have matzo meal handy. Thanks! 1. I made them with gluten free matzo meal and they tasted great. 2. I used spray olive oil to grease the muffin tin and the first batch stuck a little, so you really need to spray a lot all around so they pop out. 3. Today I made them (since my son ate 6 of them last night) with matzo cake meal which is a bit finer consistency, and I liked them better. 4. I doubled the batch yesterday and it actually yielded 36 muffins. I may not have filled each one 3/4 full, but the popovers were the perfect size and went amazingly well with a vegetarian chopped liver recipe that I made up. Michelle, I am so grateful you took the time to leave these suggestions. They are incredibly helpful for anyone looking to make this recipe! Thank you and happy Passover! Thanks for recipe and suggestion of matzo cake flour. 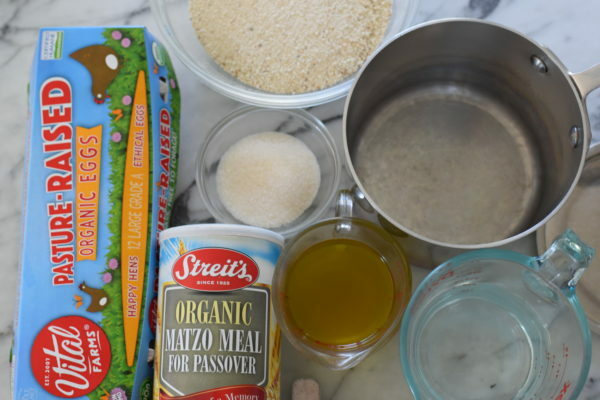 Do you need to adjust amount when using matzo cake flour? I haven’t made them with the cake flour, but I doubt she made any adjustments to the amount. Thank you. I read there is a difference in the two measurements. Will let you know what I find out. (fingers crossed). And Happy Passover!! You are my one and only go to —- everyone always loves your food!! Where did you find organic matzo meal?? Whole Foods, El Segundo. They had organic matzohs, too! Where did you find organic matzoh meal?? My local Whole Foods has it! You are my absolute favorite recipe guru! I’ve been making tons of your recipes for years and you are truly amazing and the best in this space of healthy cooking. If you have any other edible passover recipes, can you please post them (if you haven’t already). Thank you for inspiring me weekly! I have and am using it as a guide. I realize that I consistently make at least 3 of your recipes weekly for the past few years. Everything comes out amazing. Glad to have a matzoh recipe other than a spinach/feta spanikopita which my kids gag at. A mutual friend, Jen Pleasants, incredible jewelry designer, once told me she knew you and I kind of got celebrity shock 🙂 Thanks for inspiring me weekly and have a wonderful passover! Hi Tara! Jen is one of the best women I know. Give her a hug for me. 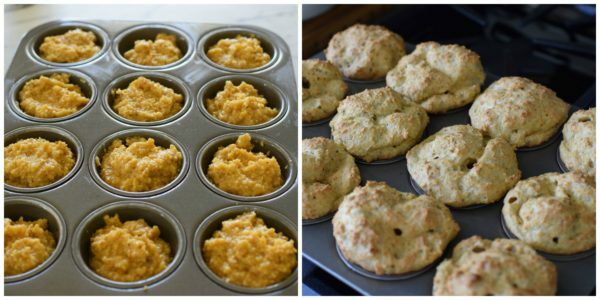 I’m so beyond flattered you have chosen so many of my recipes to use to feed your family! Happy Passover to you, too! These look lovely! If I were to turn them more on the mildly sweet side, removing the pepper (which you said you didn’t use for yours), would you guess it would be an easy modification? Possibly adding a small amount of apples (keeping in the Passover theme), and a little more sweetener? For sure it would be easy — drop the pepper and up the sugar. Not quite sure about the apples though. You might want to do a trial run before passover just in case. I always love your recipes and posts and appreciate your sharing! I can’t wait to try these and hopefully surprise everyone if I am allowed to bring them. I will make g/f and let you know how they turn out. Hi! Can you use GF matzoh meal? Not sure, but Shari (see other commenter) is going to try and let us know!